We talked about training internal skills with Clear’s Internal Push Hands. 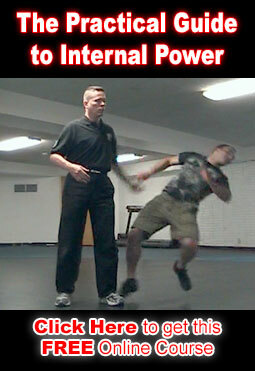 And more is covered in The Practical Guide to Internal Power. Here are some of the things to work on and feel for in push hands: Internal Push Hands Training Progression. Make sure to check out our I-Chuan workshop coming May 1, 2 & 3 – 2015. This week on Temple Underground Radio we will talk about how to get your Bagua up to fighting speed. Study the lessons below to get the most out of this show. To do this you must study function before form. Form without function cannot be corrected & improved. If you understand function then you can make corrections and keep your training as closely aligned with the end goal as possible. You must have feedback. Drills and exercises that highlight your mistakes and allow you to correct them. These drills should be practiced before solo circle walking practice. Bagua is a multiple attacker art. You must take these fundamentals & drill with multiple partners to make it functional. 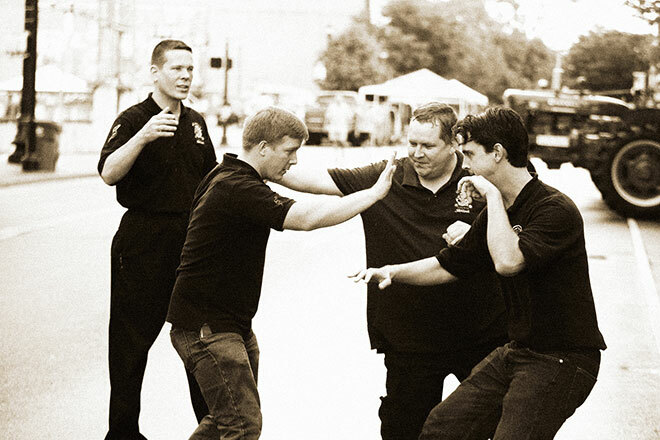 Extensive multiple attacker drills to get your Bagua up to fighting speed are taught in the Bagua basics package. The Bagua Basics Package teaches internal energies and drills for training these energies against multiple opponents. We also recommend using Clear’s Internal Push Hands in conjunction with the above training. How do I know when I’m doing whole body breathing? Free 6 month guide to internal power development. Richard Clear, Gurjot Singh, Lester Holmes and others discuss Sigung Clears background and training in the Internal Martial Arts. Here’s links to some of what was talked about in this episode. How Much Of Your Training Time Is Wasted? If you’re busy like me you only have a limited amount of training time each day. So we need to use that time as effectively as possible. We talk a lot here in the newsletter about how to find the most effective methods and ways to make our training as efficient as possible. …but even the most efficient training is wasted if you don’t test it. Without some drills, games and sparring to test our skills under pressure, we can’t be sure our training will be there when it matters. Pressure testing and sparring is essential in making sure our skills will be there when we need them. Sparring is also a great way to find our errors and fix them. …and this makes our training even more efficient. But sport martial art sparring methods wont do the job. The Art of Sparring is a 2 disc DVD set that contains all the drills, games and types of sparring you need to properly train a reality based self defense art like Kuntao Silat, Tai Chi, Bagua or Xing Yi. A couple years ago a Muay Thai player came to visit the school. He hadn’t competed or trained in several years but he still had some very powerful kicks and his movement was deceptively light and agile. This wasn’t the first or the last time we’ve heard this. …and not just from sport martial artists. Many Internal Martial Artist, who have felt what these arts can do, are waiting for the day when an internal artist will start cleaning up in MMA type competition. I hate to disappoint them but I don’t see it happening anytime soon. Competition is just not what Tai Chi, Silat, Bagua & Xing Yi are designed for. These arts are reality based self defense arts. …and it’s very important to understand the difference between Competition & Competitive, when sparring with these arts. Your sparring SHOULD be competitive. In that you are comparing your self to your training partners. and you are using these comparisons that come about in sparring to find holes in your skill and to fix those holes. However, it should NOT become a competition. When sparring becomes competition it becomes about winning the game. …anything that doesn’t help you win the game is now a waste of valuable training time. 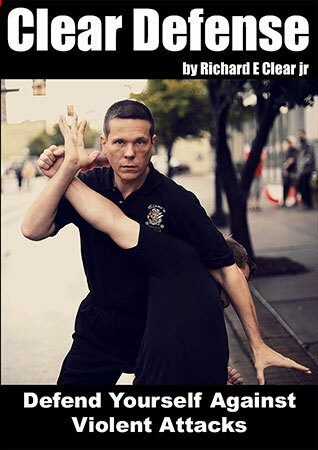 So the more you try to win the further your training gets from what you need for self defense. In reality based arts your sparring should always be about building skill. You are not trying to beat your opponents. You are using them to help you find errors in yourself and you are helping them find their own errors. Each sparring game focuses on a specific skill or group of skills. Keep in mind which skills you are working on each time you spar. Our new DVD: The Art of Sparring teaches you the games drills and sparring methods to build self defense skill with reality based marital arts for self defense. 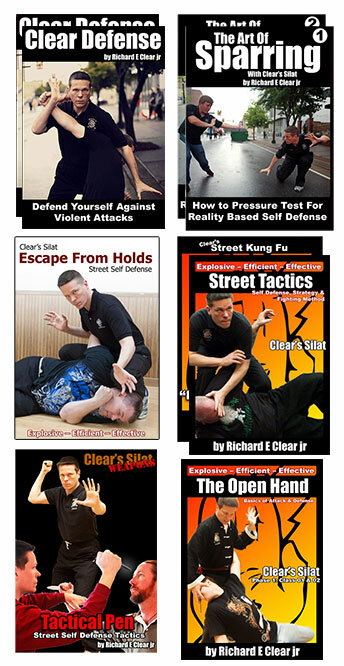 How do Self Defense Arts Spar? Last time we talked about why MMA & Kickboxing sparring methods are ineffective ways to train for self defense. …but we still need to pressure test our arts. We need to practice our skills against opponents who are trying to beat us. One way to do this is through real world experience. Sigung Clear and many of his teachers learned a lot this way. However, this is very dangerous. Sigung Clear and his teachers didn’t seek out dangerous situations. They had the misfortune of living in dangerous areas. I don’t recommend this method if you have a choice. Even if you do have a dangerous job or live in a dangerous place, I recommend doing as much of your pressure testing in training as possible. After all, our goal with these arts is long term survival and health. …and get to practice all of our most lethal techniques..
…without hurting our training partners? There is no single way to do this. Any sparring method, game or drill that is safe will be divorced from reality in a way that leaves holes in your skillset. In today’s, take a pill to cure everything world, this is not a popular message. It’s much more comforting to buy into the ‘single solution’ message of MMA & sport martial arts. “If it works in MMA it’s good, if it doesn’t it’s not.” Clear, simple, easy. But we are Reality Based Martial Artists. …and the real world is messy, nuanced and complicated. So, we need a bunch of drills, games & sparring methods. Each game has a specific purpose, providing pressure in different ways and helping us build different parts of our skillset. The good news is: we have more fun games to play with our training partners. In our new 2 disc DVD set, Sigung Clear teaches the primary games, drills & sparring methods we use to spar and develop the skills of Kuntao Silat, Tai Chi, Bagua & Xing Yi against resisting opponents. This includes the core sparring method of our Kuntao Silat that builds superior positioning skills and, if you put in a lot of hard work, will teach you how to move slower than the opponent while beating them to the punch every time. Included with this set is a section on how to use these arts in a sport sparring format. 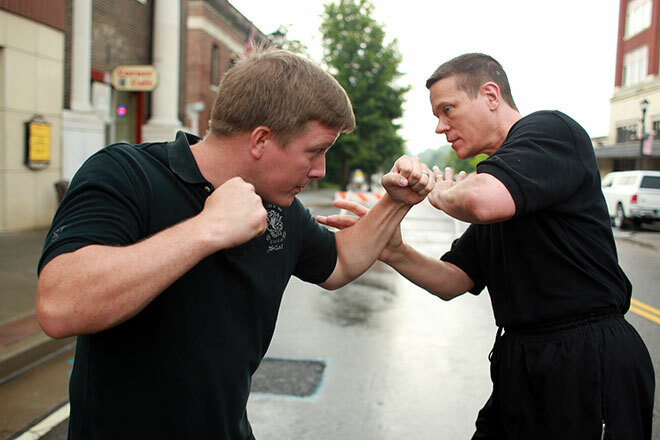 Though sport sparring is ineffective in preparing for self defense, it is very popular and it can often be a useful way to play with martial artists of different styles in a context they are used to. The Myth of Pressure Testing: How MMA has failed the martial arts. Mixed Martial Arts was supposed to be the savior of martial arts. It was billed as the ultimate proving ground where a martial artist could test their skills against any other style. MMA was supposed to provide a nonrestrictive format where anyone could test their techniques under pressure and see what really works and what doesn’t. To this day many folks consider MMA and Kickboxing style sparring to be an essential part of learning to use their art effectively. Like any good myth this his half true. Testing yourself under pressure is essential and training your skills against opponents who are trying to counter you is important. MMA sparring is just a horribly ineffective way to do this. Of course the first problem is the rules. The rules are there to prevent techniques that could maim or kill a fighter. Rules are also used to keep the fights entertaining and discourage fighting strategies that might lose the interest of the audience. So MMA sparring is NOT preparing you for an attacker who wants to kill or maim you. You are not preparing for an opponent who uses a boring but effective strategy. You are not preparing for an attacker who is armed and you are not preparing for attackers that work together. 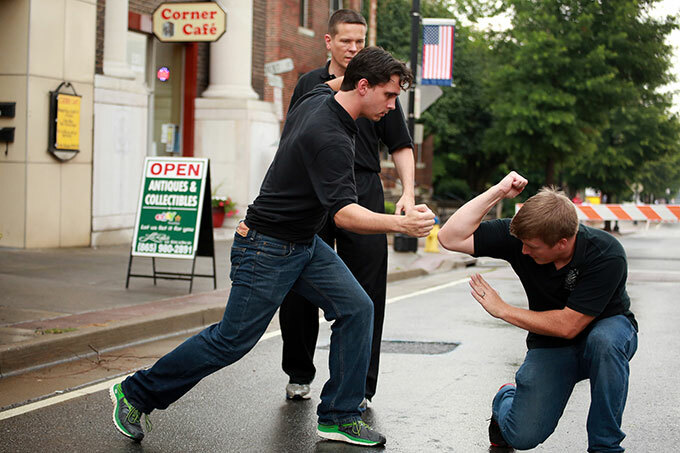 A reality based martial art is designed for self defense. Tai Chi, Silat, Xing Yi, Bagua and many kung fu styles. These arts where all built to help you survive a life and death situation. …against opponentS who are most likely armed. MMA has become a great success as a sport and as entertainment but it has failed completely as an effective means to pressure test the martial arts. Of course we still need to pressure test our methods. 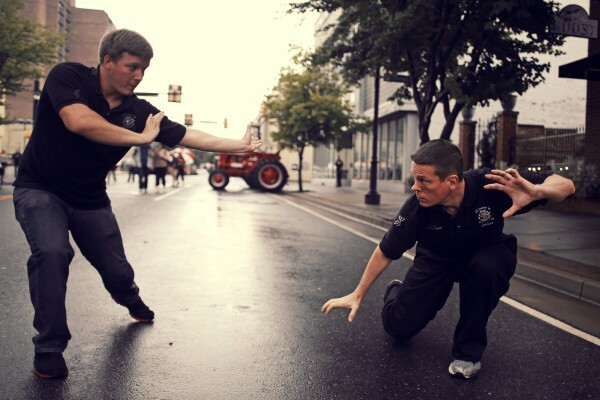 …and we need to be able to interact with other martial artists and play the training games they are accustomed to.